UK celebrates today the national ‘No Smoking Day’. Now, I know I’m not one of theirs (although, does loving British accent count? How about missing London? Or maybe having a British ex-boyfriend? No? Ok…) but it made me think. Made me think about all the people I met in my life and smoke, and also about me, cause I used to smoke too. I first tried smoking in my first year of high school. All my friends did it and it was cool. Also, they used to go outside on breaks, so I would be the only one staying with the geeks. At least, that’s how I saw things then. So I tried smoking, it was no good, it wasn’t for me. Until a few years later, when my friends in uni smoked. And I was going through a break up. So I started finding peace in smoking. Until I started having heart palpitations from smoking a pack a day and drinking energy drinks like they were water. And then I quit. Until my last year of university, when I was stressed. So I started doing it again. Also, back then I had a boyfriend with whom I lived and who used to smoke. A lot. So we smoked together (a great couple does silly things together, right?!). Until he and I broke up. And that was it. I stopped smoking for good, initially because of the fact that it hurt me, emotionally speaking. The smoke itself, myself smoking and the people around me who smoked or anything that smelled like smoke reminded me of him. So I had to quit in order to get over him. It wasn’t until later that I realized I was only smoking to relieve stress, so I found another way to do it. I joined a gym. This is my happy ending. Now, I am no judge of people who smoke or why they do it. Everyone has their reasons and every each and one of us knows what’s best for them. But I will tell you one thing that I learned after having many friends who smoked and also some ex-boyfriends. I would never ever be able to have a serious relationship with someone who smokes. It may seem a bit hypocritical of me, since I used to enjoy it. But the reasoning is simple – I can’t watch my love one hurt himself. I now work in the medical field, more or less. I’ve seen what smoking does to the oral health only, so don’t even get me started in general. Also, and this is my personal perk – I want, I need to feel the natural smell of someone’s skin. It’s a part of love, part of a relationship. How could I fall in love with someone who always smells like smoke? With someone who smells like thousands others? Yeah, I’ve been there, it wasn’t special. 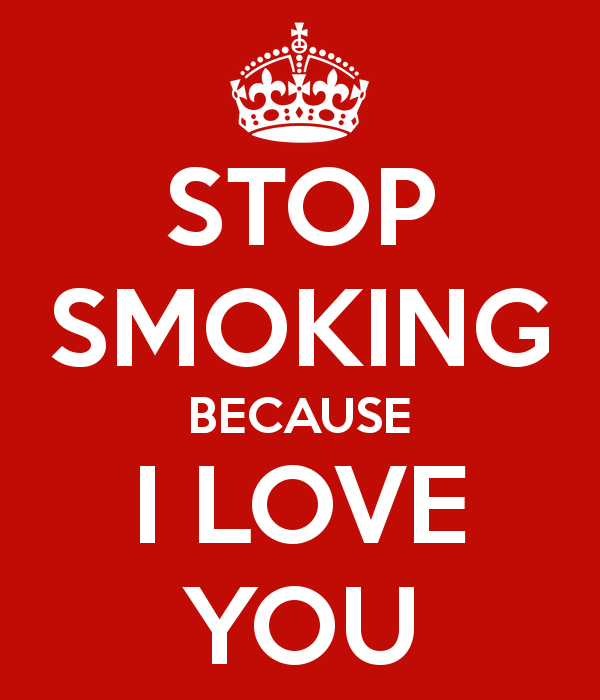 So, my message to my smoking friends and people who are dear to me?